Veterans Day is our opportunity to honor the men and women in uniform who have bravely fought for our freedom and served our country. At Aegis Living, it has been our privilege and pleasure to care for many veterans and their family members over the years in our assisted living and memory care communities. We are grateful to serve and support our veterans with dignity for the many sacrifices they have made in their lifetime. They are truly our heroes. On this special day, we honor our military—both young and old—for their brave service. Veterans over the age of 65 now number more than 12.6 million. 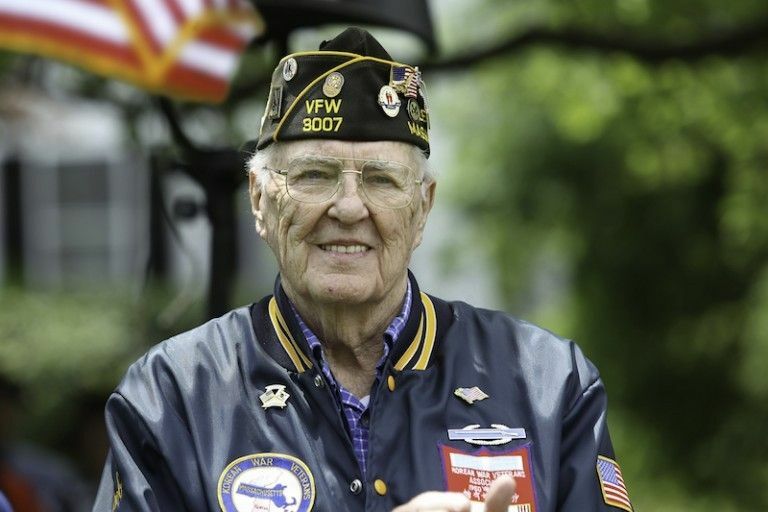 These veterans have seen conflicts around the world, including World War II, the Korean War, the Vietnam War and even the Persian Gulf War. The Department of Veteran Affairs is committed to providing benefits and services to these aging veterans, including their changing healthcare needs. But many are not getting the benefits they are eligible for because veterans and their families are unaware of the available programs and how to file for these benefits. Did you know the VA Aid and Attendance program benefits may be available to you to help pay for assisted living and memory care expenses? Under the VA Aid and Attendance Special Pension, also known as the A&A Pension, qualified veterans or their surviving spouses can receive tax-free monthly sums meant to help defray the costs of assisted living. A veteran can receive up to a maximum of $1,788 each month for this purpose, while a veteran and his or her spouse can receive up to $2,120. A sick spouse of a veteran may receive $1,406, and a surviving spouse may be entitled to as much as $1,149 each month. To be eligible, you must be a veteran who has served at least 90 days in active duty with at least one day during wartime. You must have been honorably discharged, and some income restrictions may apply. For more information and to see if you are eligible, contact a Veterans Service Officer at a regional VA office or call 1.800.827.1000. Inspired by our many residents who have served in the military, Aegis Living is proud to offer families a special way to honor our veterans. The Aegis Wall of Honor on our Aegis Living Facebook page. It is our way of recognizing those who have served in the military for all to see. If you would like to honor a spouse, family member, friend, or loved one, submit a photo of that person with a short paragraph describing their service and why they are special to you. Visit our Aegis Living Facebook page to submit your information and to see our growing Wall of Honor.